PRO_MST - 2S.I. Software e Servizi per l'Ingegneria S.r.l. Gravity, pilling, anchored and cantilever retaining walls design. 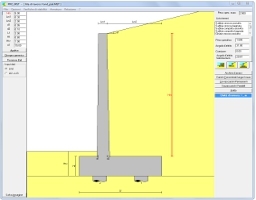 Automatic calculation report and drawings generation.